Shah is the link between Bussenger Financial, Kinetic Investments and Fidelity Investments. Shah's expertise is matching our Clients risk tolerance with our investment platforms. Shah Azarian is responsible for financial reporting, forecasting and contributing to the development of technology and software applications. He works with the best financial planning tools currently in the industry. Also tasked with investment due diligence, Shah regularly surveys products and services to provide the best for our clients. He has worked as the Director of Financial Planning and Analysis at Fox Rent-A-Car, Inc. supervising the accounting staff and managing all financial responsibilities including budgeting, forecasting and financial reporting at the corporate headquarters. Prior to Fox, Shah worked in corporate finance for Trust Company of the West (TCW) where he oversaw all financial reporting related to the investment management practices for the many funds and portfolio management teams. Shah has also worked as an equity analyst, process engineer and business manager for several companies. 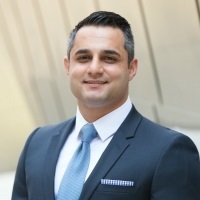 Shah Azarian holds a Bachelor of Science in Chemical Engineering from the University of New Mexico and a Master’s in Business Administration with an emphasis in Finance from the University of San Diego. Shah is also a level two CFA candidate. In his free time, Shah enjoys exercising, attending sporting events. Shah is also an avid volunteer as he continues to work with various non-profit organizations and local churches.